The vast majority of our orders with Nationwide Print are short run print jobs, as these make up almost everything we require these days. Sometimes this could be around 30 separate orders a day including various menus, wine lists and promotional materials for different properties. Nationwide Print also produce posters (up to A3) for our portfolio of food and drink establishments across the country. Industry prices are competitive and fairly flat – what is much more important is reliability and responsiveness. 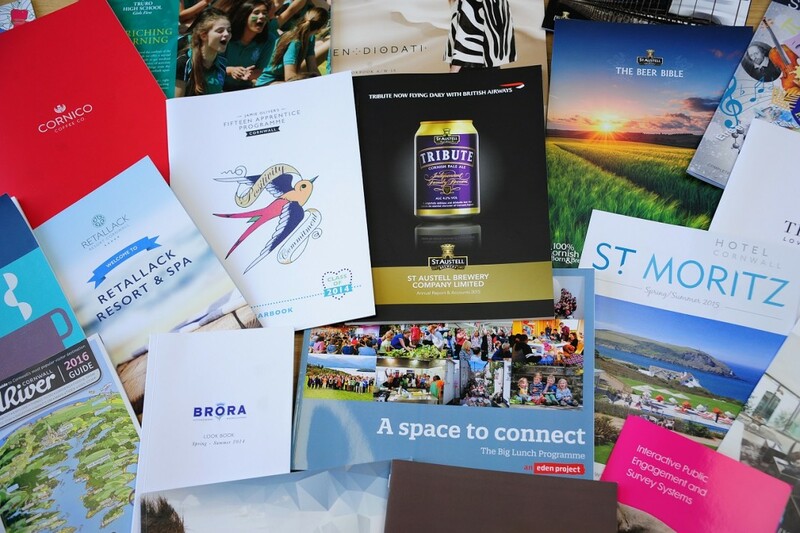 We have a small in-house creative team here at St Austell Brewery and we work very closely with Nationwide Print; it’s a really effective partnership. Once we send them a job we know it will be carried out to our own high specification, and delivered on time. We never have to check or chase and, unlike some other national companies we have worked with, we know they are entirely trustworthy. Nationwide Print has all the values of a local, family business, with the professionalism and service quality that we prize in all of our business relationships. Because they have a relatively small team, we work with the same people all the time, and they understand our needs intuitively. Meeting face to face if we need to is easy, and they deliver direct to our local properties, saving us time and hassle. They are extremely supportive and are always prepared to go the extra mile. How have your printing needs changed in the last 5-10 years? We now have an established creative department within the Brewery and, as a result of these in-house skills, our printing demands have increased dramatically. Our customers expect high standards of professional printing in our establishments – including menus, wine lists and promotional materials – but each property has a unique and individual offering. This means a lot of high quality, bespoke printed material, often with tight turn-around times. Would you recommend Nationwide Print’s services? Absolutely, in fact we often put smaller business in touch with Nationwide Print and have always had good reports as a consequence. If you’re not used to ordering print it can be quite daunting, but Julian and his team are very helpful and trustworthy, and will ensure the whole process goes smoothly. They are fantastic local partners, who retain a personal approach whilst also keeping pace with industry trends.